Born in France, Jean Nicolet (c.1598-1642) came to Canada in 1618. 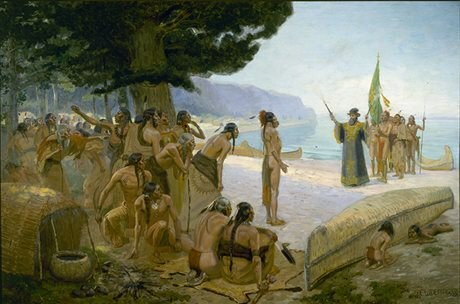 He lived for a number of years with the Nipissing First Nations, adopting their lifestyle and thereby helping to strengthen their alliance with the French. An intrepid explorer, Nicolet is generally credited as being the first European to reach Lake Michigan, which he partially explored in 1634. Visit the plaque – In Lee Park, Memorial Drive, North Bay.